I’ll admit, it’s pretty easy to get caught up in the speculative gold rush of a new number one issue, even for a non-collector. Nonetheless, the main reason Action Comics held so much appeal out of the gate was not because it defied a deep and storied history that few people know. No, it was the fact that DC announced Grant Morrison as lead writer, this less than a decade after his All-Star Superman redefined what we talk about when we talk about the Man of Steel. Perpetually behind the curve, I only read All-Star Superman earlier this year. It’s an incredible collection of Superman stories, consistently referenced as many aficionado’s favorite work on the character. It’s also Grant Morrison at his absolute best, merging established character history with his own innovation, shining a new light on what has to the most frequently stale icon in America. 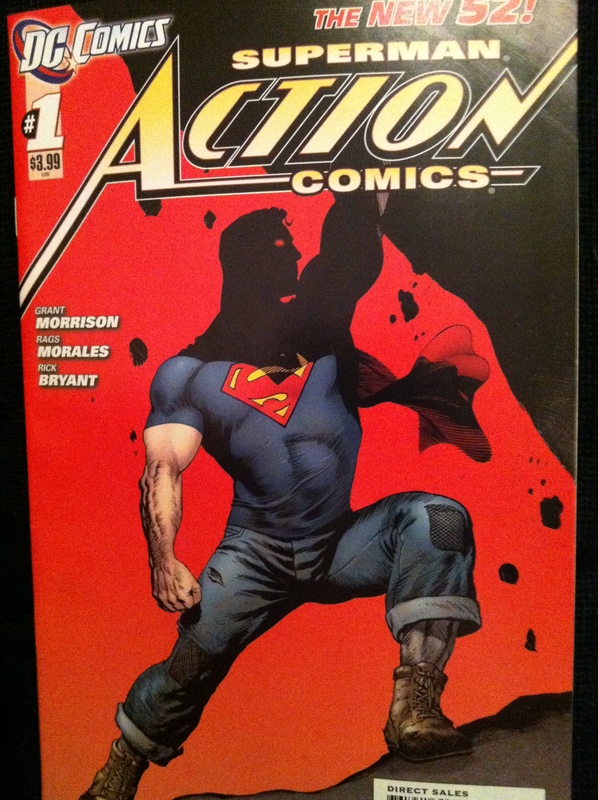 Heading into a New 52 Action Comics, then, there is the assumption – the expectation – that Grant Morrison would be able to recreate that same revival for the first years of Superman. That he would shine a light on Superman’s first days as America’s hero and remind us all why he’s the number one superhero in the world. Admittedly, the expectations were too high. 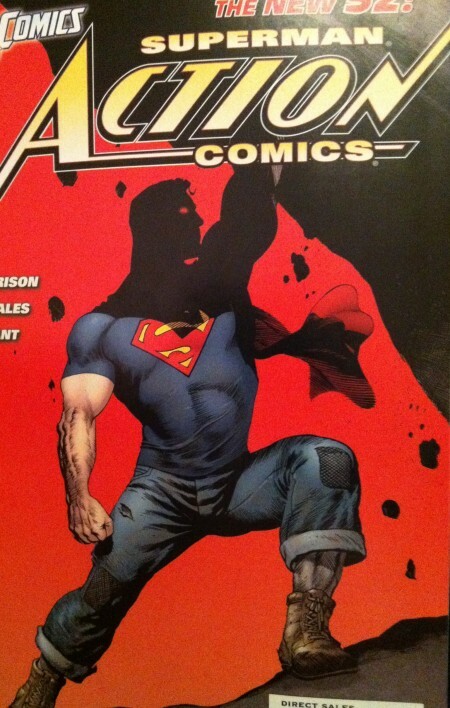 Action Comics is not the next All-Star Superman, and frankly it doesn’t try to be. For starters, the man’s wearing jeans and construction boots like a stud. 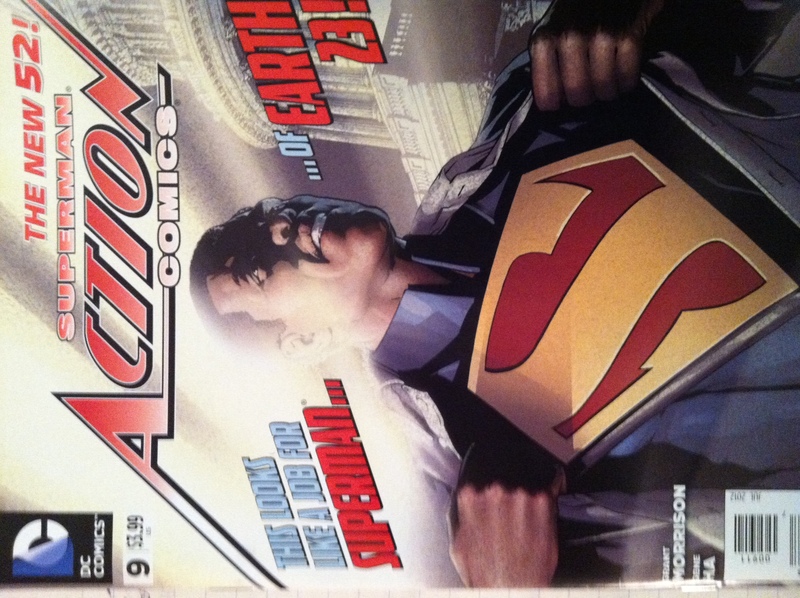 Instead, Action Comics and Morrison embrace the opportunity to 1) Tackle the fear and loathing with which Earth would have truly greeted an alien 2) Elaborate and experiment with the history of Krypton and its current impact on the Man of Steel and 3) Redefine Braniac for the new 52 while simultaneously developing a new foe for Superman. After re-reading issues 1-12, I have to say this is a very good run, one of the better comics of the new 52. It is the sort of run that requires a re-read to solidify such a belief, though, because Morrison’s success here is heavily indebted to long-term plotting and subtle hints across issues. To be fair, most issues are largely self-contained, but no writer in the new 52 is more reliant the promise of something bigger than Morrison. Every issue since the final Braniac confrontation in #8 has involved the development of the Anti-Superman League, as put together by the mysterious 5th dimensional demon (known so far only as “The Little Man” or “Teetotal”). It’s a great job of “making the old new again” like Snyder did with Batman, but it absolutely requires some patience. I’ll admit the “nutant neosapiens 100 thousand years ahead of their time” storylines in issues #11-12 had me doubting my faith in Action Comics. Morrison has since announced he will write the line through issue #16, which puts my mind at ease. All the buildup will have to be released by that time, and I’m sure afterwards I and many others will be sad to see Morrison go. It’ll be interesting to see how DC plays this loss because Action Comics could suddenly find itself dropped from a lot of pull lists. Action Comics doesn’t quite have the levels of sheer fun that lines like Batman Inc., or Dial H occasionally show, but it does allow for some incredible full issue triumphs. 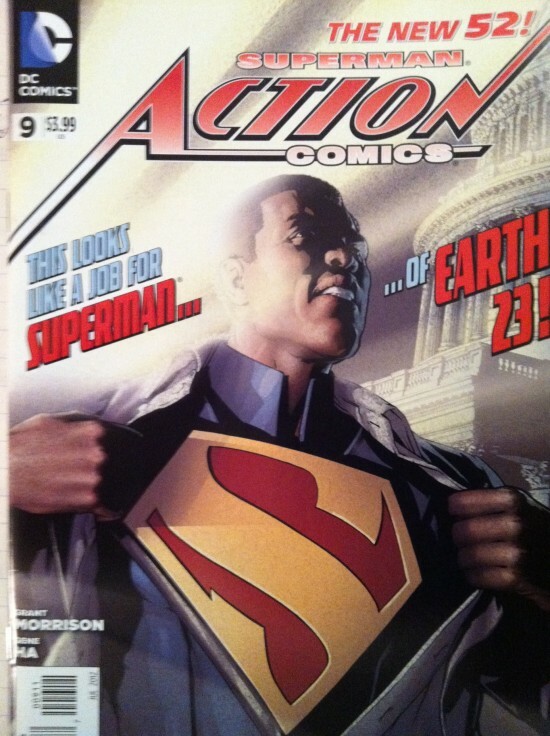 One such instant classic is issue #9’s “Curse of the Superman,” an incredible thesis statement on the purpose of Superman that features parallel realities, thoughts you can touch, a meta-music machine, and black president Calvin Ellis, the Superman of Earth-23. He looks like which president? Taft? Nah, I don’t see it. As far as impact on the overall Action Comics run, though, the combo platter of issues 5 & 6 are what keep me picking up this comic line every month. The issues introduce Superman time-travelling with the Legion of Superheroes along with the Anti-Superman league. The whole thing sets the stage for a truly massive Superman villain, with a struggle impossible years in the making. 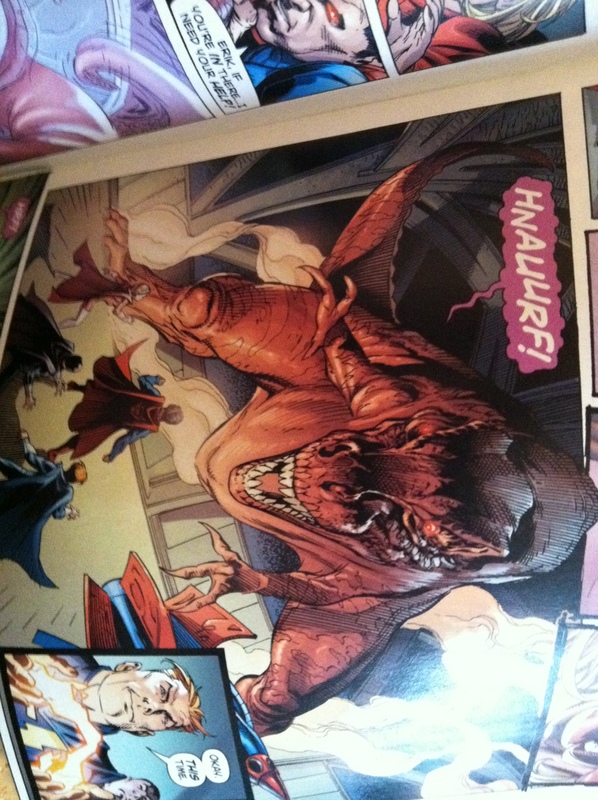 Also, Supes fights a T-Rex. 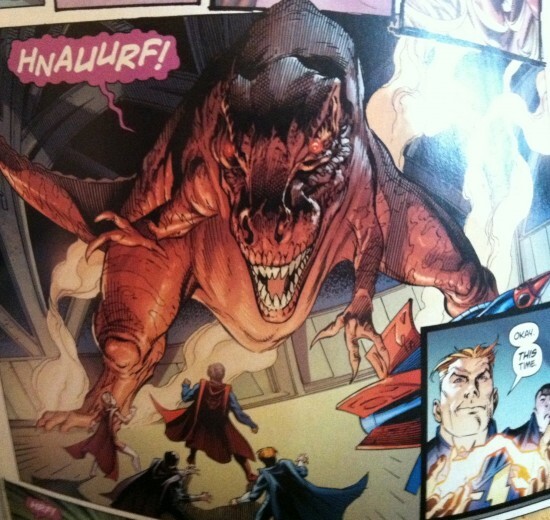 Just Superman fighting a T-Rex, nothing to see here. What Can We Learn About Superman From Issue #0? Not a whole lot of plot development here in issue zero. For the most part it serves a reminder of the type of Superman we’re dealing with now. This isn’t iconic, milquetoast, boyscout Supes. Instead, our new Clark Kent is young, sassy, idealistic, and an obscure movie buff (from Jimmy Olsen: “All you had to do at that farm was milk geese and watch movies”). Issue #0 is titled “The Boy Who Stole Superman’s Cape,” immediately attempting to cement itself as a classic issue. I realize we rarely put much weight in the title of a comic, but Morrison’s titling on Action Comics is on another level. From this to the most recent “Ghost in the Fortress of Solitude” Morrison is taking the most iconic elements of the character and sliding them into focus for entire issues. The cape, the rocket from Krypton, the Phantom Zone and fortress of solitude… you get the idea. So for the most part, issue #0 showcases an abused young boy using Superman’s cape to finally fight back, and Lois Lane naming the big S for the first time. It’s not exactly reinventing the wheel, but it’s a pleasant enough ride. And sometimes, that can be more than enough.